AWTA is a nonprofit 501(c)3 group committed to helping preserve, maintain, and provide appropriate public access to the woodlands and trails in the broader Ashland, Oregon area. AWTA works under the auspices of the USDA Forest Service, the Ashland Parks and Recreation Commission, and the Ashland Forest Lands Commission to design, build and maintain a variety of trails used by hikers, runners, cyclists, and equestrians in the Ashland watershed. Additionally, we work with the Pacific Crest Trail Association to maintain sections of the Pacific Crest Trail near Ashland. These all meet at Witzend (Bandergate) at the parking near the bottom of the Waterline and Bandersnatch trailheads. To help ensure a lasting trails legacy, in 2006 we helped prepare the first Ashland Trails Master Plan for city lands. (We’ve been working on an update due to be published soon). In 2010, we began working with the Forest Service to create a trails master plan for the Ashland watershed on FS lands, and in 2011, we submitted our Trails Master Plan (large file). In 2014, the Forest Service completed their Environmental Assessment (here). The Draft Decision Notice (DDN) and Finding of No Significant Impact (FONSI) followed and can be found here. Finally, in the penultimate day of 2015, the final DN and FONSI were released (here). We began implementing the plan in early 2016 and will likely to continue to do so for a few more years. AWTA won the City of Ashland’s “Volunteer Spirit” Community Service Award in 2009. 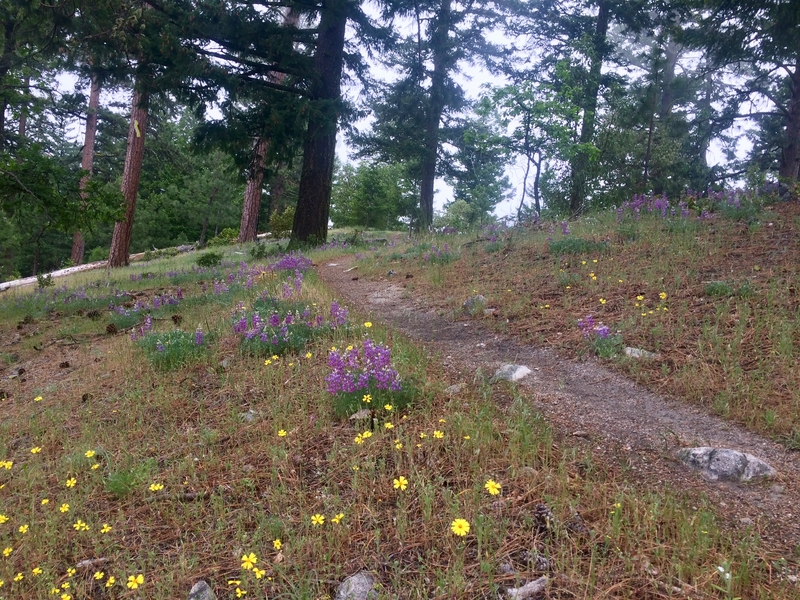 AWTA raises funds through the annual Mt Ashland Hillclimb run, grants, and private donations to fund trail design, construction and maintenance. Learn about our mission, come to one of our trail events, review and print trail maps, become a member, or make a donation. For updates and more details, check here or on Facebook. Subscribe to our Email list to learn more about upcoming events and to receive our annual newsletter!